Sirplay is the developer of a next-generation and fully featured Sports Betting Software. Enter into the Online Gaming Market or upgrade your Sports Betting Platform with advanced Live Betting and Wagering Solutions. Powerful Automated Feeds covering all Leagues and Sports. Available for: kiosk, desktop terminals, mobile and self-service. Mobile functionalities for iOS and Android. 35,000+ Pre-Match and 25,000+ Live Events included every month. Full Multi-Lingual and Multi-Currency functionalities. Highly flexible Betting Management tools, Trading tools and Bets Monitoring. Wide range of Betting Markets, sports categories and Leagues. Branding, customisation, White Label Sportsbook Solution. Multi-platform: Sports Betting, Casino, Virtual Games, Bingo, Lottery, Live Betting and Mobile. 24/7 – 365 Support and Remote Maintenance. The Sports Betting Software is surrounded with many other attractive games and modules to offer you a complete betting system. One of this allows you to offer a live betting software to your players. Even if pre-match wagering is considered the main way to stake on sports events, Live Betting has reached good approval by players who want to see their bets settled in real time. The statistics, after all, speak clearly: the majority of bookmakers reports that today almost half of the turnover comes from the Live Betting market. Provided with its Back-Office and Management Tools, it is offered with great quality and user-friendly interface, thousands of events per month – Soccer, Tennis, Basketball, Ice Hockey, Handball, Volleyball, Beach Volleyball, Tennis – and the best support Sirplay can offer. Sirplay meets new trends and offers to its Clients a wide set of Live Casinos. A Sports Betting software has been integrated with all kinds of table games managed by real-person dealers. Thanks to the advanced technology, Sirplay Ltd can offer unmatched quality for live streaming of Live Roulette, Live Baccarat, Live Blackjack and Live Texas Hold ‘Em Poker games. Sirplay Casino has kicked off a unique and user-friendly game lobby that allows players to play multiple games and experience online gambling on a different level. With a huge choice of themes and types of slots, SBS counts about 100 among flash Casino Slots and Table Games. Sirplay offers the opportunity to integrate an Online White Label Poker module in your betting software with hundreds and hundreds of tables and tournaments to choose from, going from the classics online poker games like Texas Hold Em Poker or Omaha to the always-new and enchanting games. The end-users can choose and change among a wide range of avatars whenever and as many times as they want. Every user has a personal calendar with all the upcoming tournaments. Customizable colours even for cards and chips. Special promotions for your players, points, merchandise or cash. Virtual and real dog and horse races. 3D Virtual Football, let your users create and personalise their team. Football League, your players can create their own league. Speedway and Nascar races, with exclusive videos and drivers performance reports. Fantasy Sports are games where participants assemble imaginary teams using real players of different professional sports team and compete with others making points based on real event results. Lately, Fantasy Sports evolved into Daily Fantasy Sports (DFS) – a spin on traditional season-long contests – with a boom that doubled the usual income of the industry. Sirplay offers an integration with its sports betting software also for this new trend, do not lag behind! They last just a single day or a week maximum. They are usually played on PC or on mobile increasing incredibly the available cash prizes and reducing the fee to enter the contests. They are so simple and easy anyone can play and besides you can challenge every day different competitors, making the game quite more stimulating! The structure and payouts of Daily Fantasy Sports Games provide a feeling of instant gratification to its players, making them so addicting. 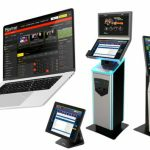 Sirplay wants to offer a software for bookies always more complete, and this means also to be always updated with new trends. Implementing our white-label solution is a job we take seriously, that is why we have decided to dedicate the same attention to all the steps in the wagering process, including the payment. Bitcoin is the new method of payment to manage the outcomes of your sportsbook platform in an even safer, faster and more cost-effective way. Sirplay constantly works to satisfy all its Clients requests and sometimes getting help is the best solution for everyone in order to make no compromises. We have some of the best partners in the gaming industry providing Casino, Live Casino, Table games, Video Slots, Online Poker, Daily Fantasy Sports, Fixed Odds, Virtual Games, in order to offer an always more complete betting software. And our list is constantly increasing, based on our R&D and on our Clients’needs. We have the wager solutions for your bookmaking business.